Before you transport your ABAP Code into Production System you need to ensure that your ABAP Code is safe for various error threats. First you need to open your ABAP Program using transaction SE38, then open menu Program->Check->Code Inspector. 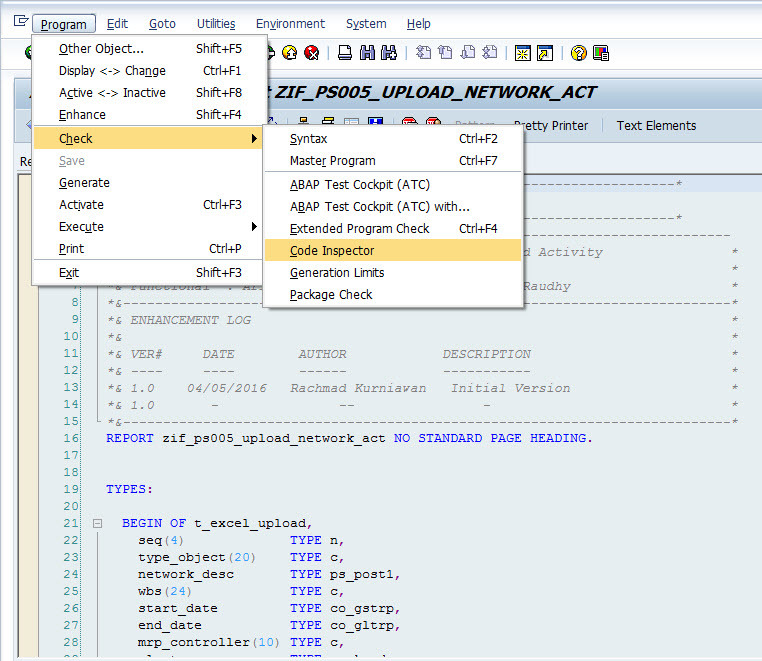 In ABAP Code Inspector performs several types of checks – performance, syntax, user interface, robust programming, security checks. By analyzing the results using this tool, you can intercept some common and predefined by SAP Security ABAP Holes and performance issues.